Apparently, this Bill Goodwin cat that is putting this one up for auction expects it to go for $1.5 Million. 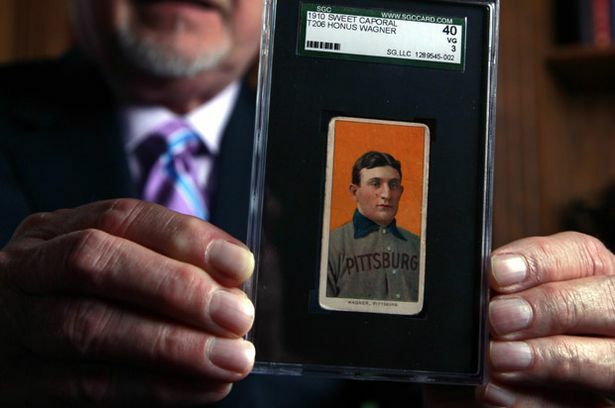 I actually have a Honus Wagner card. 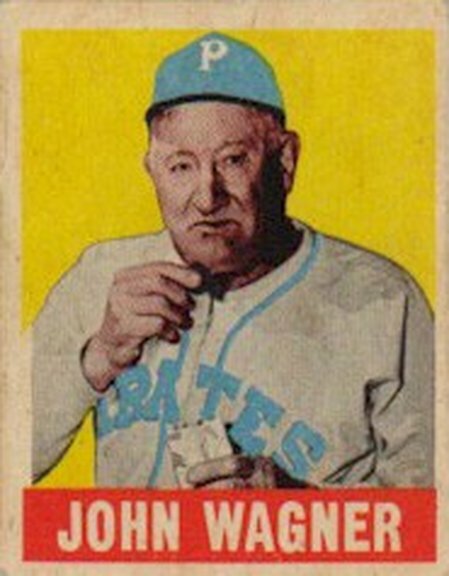 It just happens to be from 1949, not 1909, and he’s old and fat and awesome. So, the T209 is on my wish list. I’m going to go ahead and add it to the list of things I’ll buy when I win the $476 Million Mega Million jackpot…after I buy the Padres. These don’t go up for auction often kids, so this is a big freaking deal. Bidding is currently up to $643,078.00. Lobsters, you’ve got ’til April 19 to get your bids in. Have at it. 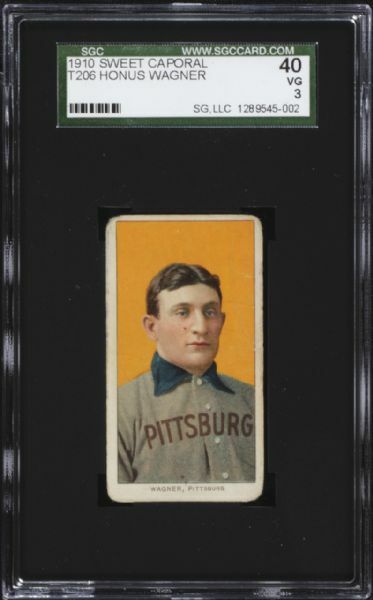 This entry was posted in Baseball, MLB and tagged baseball cards, Honus Wagner, T206 Honus Wagner. Bookmark the permalink.